While the Blackhawks will undoubtedly look to extend winger Alex DeBrincat’s contract this summer when they can do so starting in July, John Dietz of the Daily Herald details the more challenging decision they’ll face with center Dylan Strome who is in a similar situation. The soon-to-be 22-year-old has been quite productive since joining Chicago with 40 points in 42 games but his struggles in Arizona would also play a factor in negotiations as well. Accordingly, it may make sense for both sides to hold off on pursuing an early extension with an eye on seeing if his success alongside DeBrincat extends over into next season and is sustainable. The Blues have converted winger Sammy Blais’ recall from an emergency one to a regular one, using the first of their four non-emergency post-deadline call-ups, notes Jim Thomas of the St. Louis Post-Dispatch. With St. Louis heading out on their California road trip and David Perron’s uncertain injury situation (he has been skating with the team for a little while now but is not with the team), they’ve decided that having Blais around as insurance is the best move for the time being. Par Lindholm told Postmedia’s Ken Wiebe that he gave strong consideration towards signing with Winnipeg last offseason, calling them a close second to Toronto who he ultimately signed with. As it turns out, he wound up with the Jets after all after being acquired late on trade deadline day. The 27-year-old center will once again be an unrestricted free agent this summer and with only one goal and a dozen points in 62 games, he may be hard-pressed to beat his current $925K deal. Predators defenseman Yannick Weber is dealing with an upper-body injury, the team announced (Twitter link) which resulted in him being a late scratch on Tuesday night. There’s no word on when the injury occurred as he suited up in their previous game against Minnesota while playing close to his season average in ice time. The Chicago Blackhawks and Arizona Coyotes have gotten together once again on a huge trade. 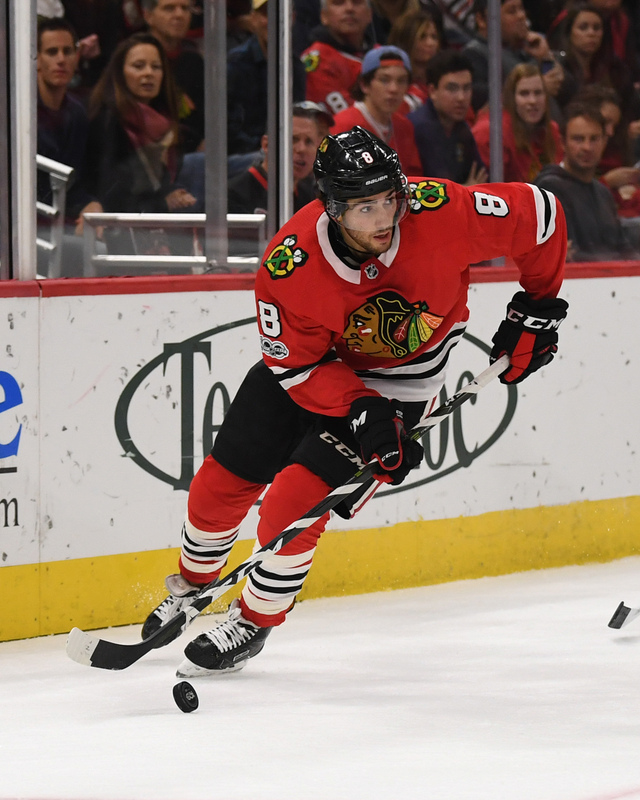 The Blackhawks are sending forward Nick Schmaltz to the desert, while Dylan Strome and Brendan Perlini will be headed back to Chicago. Schmaltz, 22, was an integral part of the Blackhawks future as recently as last season, after finding chemistry with Patrick Kane and posting a 21-goal, 52-point season. He looked like the answer as the next first line center in Chicago, given his immense offensive skill and playmaking ability. That moniker was removed a bit this season with Jonathan Toews early resurgence, but there was little warning that Schmaltz had worn out his welcome in Chicago. His offensive numbers weren’t where they were a year ago—the young center has just 11 points in 23 games—but he had begun to play better and even had a three-game point streak over the last few days. Still, even if Schmaltz still had the full confidence of the front office and coaching staff the Blackhawks may have been unable to pass up this trade. In Strome, the team is getting a player who was selected third overall in the 2015 draft and has shown himself to be an elite talent even at the minor league level. 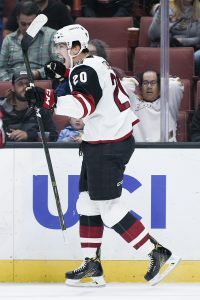 The 21-year old forward scored 53 points in 50 games for the Tucson Roadrunners last season, but had still not been able to carry that success to the NHL level. In fact, through 48 games with the Coyotes, Strome has registered just 16 points and has sometimes seemed to struggle with the pace of play. His two-way skills are easily apparent, but there has always been concern over Strome’s skating ability. If he can put that behind him in Chicago there’s no telling how high his offensive ceiling is. Beyond even the promise of Strome, there is also Perlini who is an accomplished NHL player in his own right. The 12th-overall pick from 2014—eight spots ahead of Schmaltz—recorded a 14-goal season as a rookie in 2016-17 and followed it up with 17 goals and 30 points last year for the Coyotes. The talented, big-bodied winger has a powerful shot and can protect the puck well in the offensive zone. The fact that he’s only 22 himself allows for plenty of growth still in his career, something the Blackhawks will surely try to cultivate immediately. Nick is a dynamic forward with top line potential. We feel he can be a core player of our team now and into the future. He’s a good complement to our evolving forward group and a rare combination of speed, skill and creativity. The last part of his comment is quite interesting, given that Schmaltz and Strome use such different skill sets to achieve their offensive performance. The Coyotes obviously valued the speed and pure playmaking ability of Schmaltz, especially as the league seems to get faster and more skilled each and every year. Smaller players, like the 6’0″ 177-lbs Schmaltz have found jobs all over the league as the NHL moves away from the big, bruising styles of decades passed. Still, it’s not like Strome and Perlini don’t have applicable skills that may shine in Chicago. In fact the former is reuniting with his friend and former junior linemate Alex DeBrincat, something that may bring out another level of his production. Amazingly, after trading Schmaltz today, the Blackhawks have no players on the roster that they selected in the first round between 2008-2014. They’ve often found great talent in the round, but have seen Kevin Hayes, Phillip Danault, Teuvo Teravainen, Ryan Hartman and now Schmaltz all leave in one way or another, while lacking a first round pick altogether in other years. That’s a tough way to build a franchise, but with the additions of Strome and Perlini GM Stan Bowman is betting on their potential to bring about the next great wave of talent in Chicago. It’s important to note that Schmaltz is also scheduled to become a restricted free agent this summer, and perhaps could have demanded a quite hefty raise given his previous point totals. Perlini is a pending RFA as well but doesn’t have the same kind of leverage given his pedestrian assist totals and less important position, while Strome is still under his entry-level contract through next season. While Chicago does have some substantial contracts coming off the books at the end of the year, they’re still always looking for a financial advantage given the huge commitments they’ve made to their core. In all, this turns out to be a change of scenery deal for all three players that could end up win-win in the end. There is plenty of talent going to both teams, and if all three players fulfill their potential neither side will be able to complain all that much. Though Chicago may be taking on a little more risk with the less established names, they needed to take a home run cut while they still have the chance to compete with the likes of Kane and Toews.